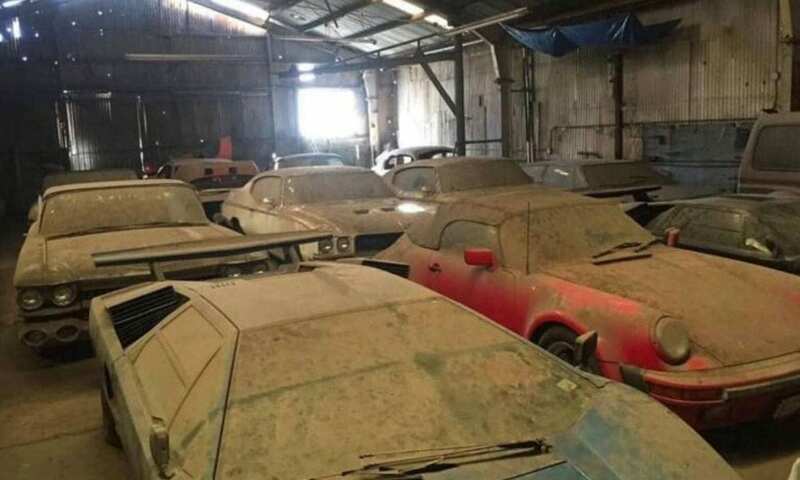 Few classic car enthusiasts haven’t dreamt of stumbling across a ‘barn find’ – some dusty but hopefully complete old bentley or bugatti. we spoke with eight car experts who did just that. 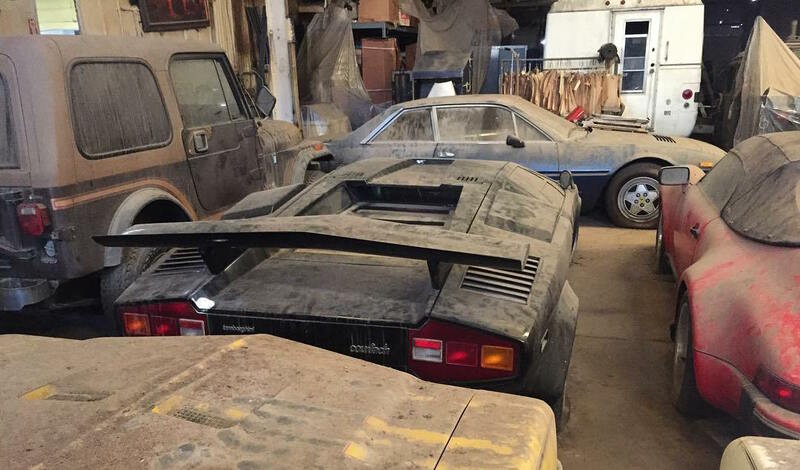 In early October social media was buzzing with images of dusty Lamborghinis apparently just discovered in a Texan barn, but the most high profile find of recent times, perhaps ever, was what became known as the Baillon Collection. 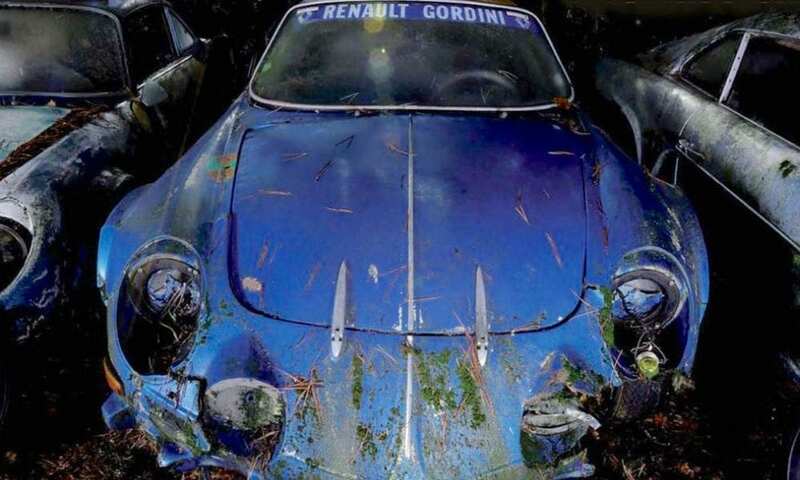 In mid 2014 news broke of 100 rare cars found languishing in various sheds at a French castle. The collection had been assembled over many years by the late Roger Baillon, a French entrepreneur & passionate car collector, but he’d never got around to restoring them. 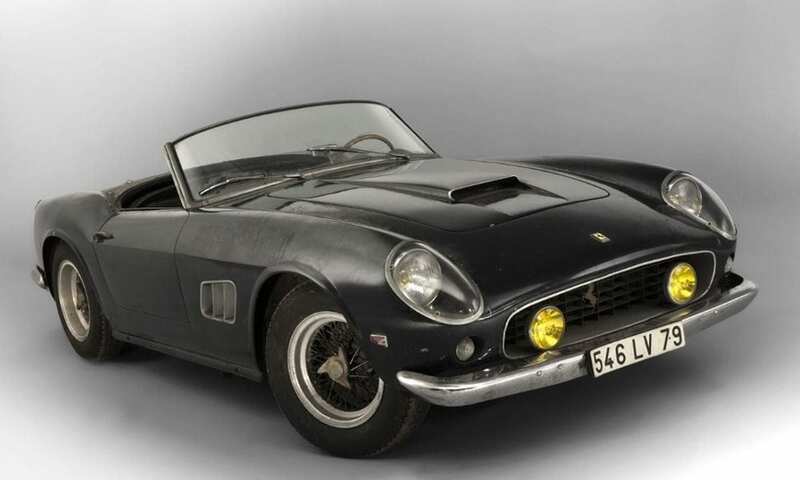 In February 2015, 60 of the Baillon cars were offered by Parisian auction house Artcurial and every one sold for a total of over €25 million, with one very special Ferrari realising €16.3 million. 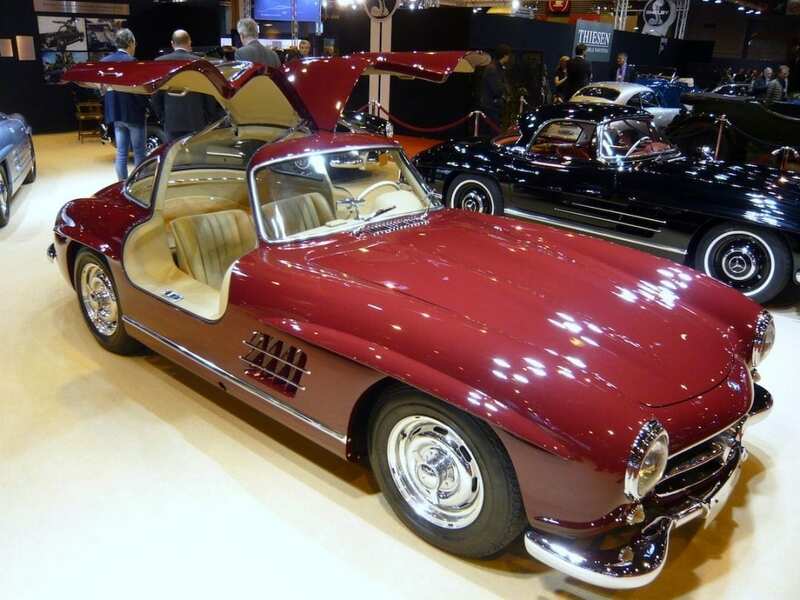 “Back in the late 1980s I worked for 1950s Mercedes 300SL specialist Porters in Kensington. I was up in Market Drayton for some reason, chatting about old cars, and someone mentioned that there might be a dormant 300SL Gullwing somewhere in the area. 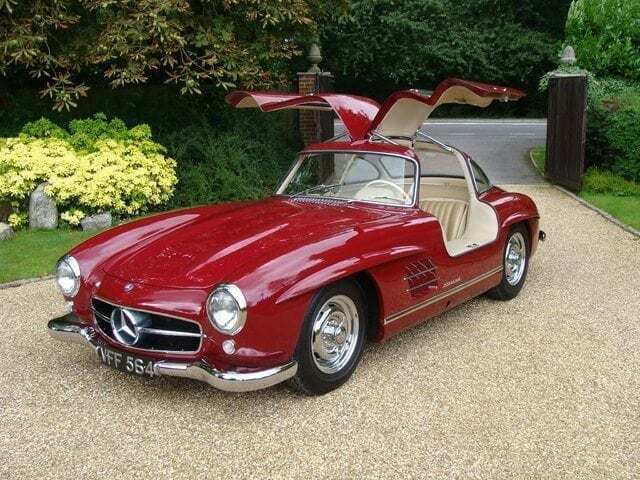 “I returned to the office in London and started leafing through a 300SL owners’ register of the early 1970s. Most of the owners were in the USA, but there was one, a Malcolm Doyle, in Worcestershire. I got onto directory enquiries, obtained a number, called him, and eureka, he still had the Gullwing! “I drove straight there the following morning and met Mr Doyle and his family, but he was far more interested in showing me his green VW Beetle convertible… Eventually he took me to a shed with half its roof missing, and there was the Gullwing. The car hadn’t moved in 30 years and it had sunk into the ground up to its axles. Mr Doyle, an oilman, explained that he was soon to return to Malaysia for three years before retiring and so he was open to offers. We agreed on £74,000, and the next day we dug it out with a pickaxe and spades, loaded it onto a trailer and took it to London. 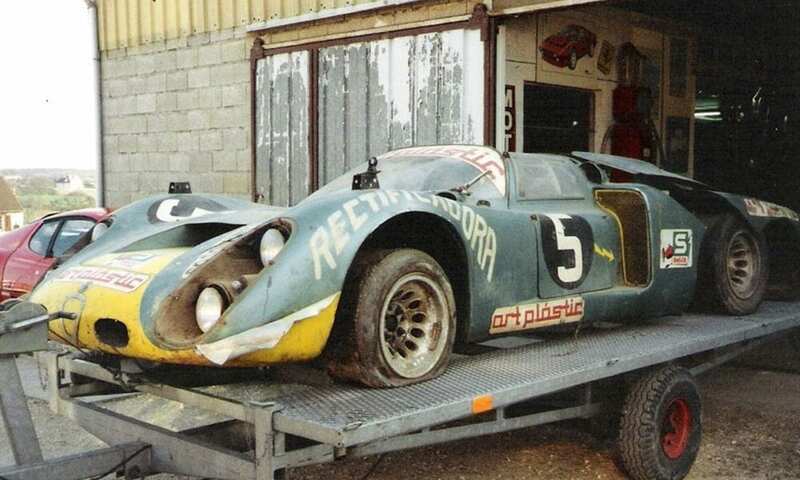 “This is an amazing barn find, but unfortunately minus the barn. I first became aware of the cars at the side of the Draguignan-Grasse road near Fayence (about 45 minutes from Cannes) over 20 years ago, but I had no idea that the festering collection was so remarkable and knew nothing of the sad story behind it. 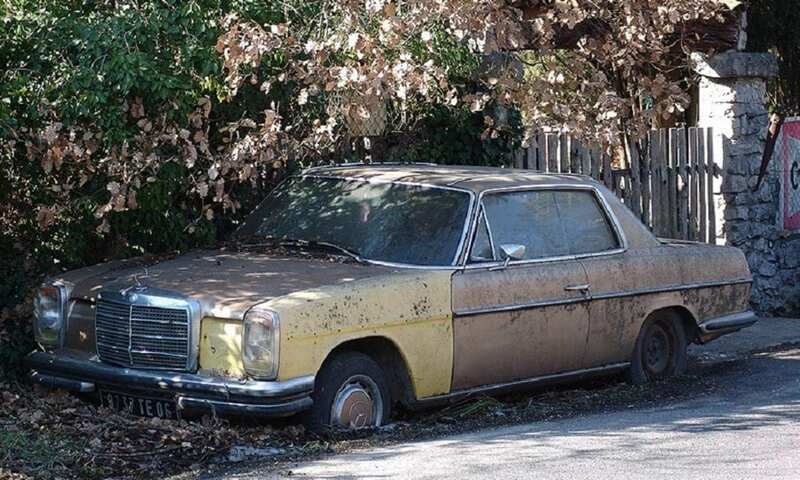 “I saw the eccentric, white-haired and white-bearded Gérard Gombert occasionally, and when I first noticed his 1970s Mercedes CE parked on the verge it was still in regular use, but in recent years it gradually merged into the undergrowth and became mostly rust brown. “I once stopped to pass the time of day with his donkey grazing on the opposite side of the road, and spotted some interesting cars amongst the trees, notably several BMW 2002s. “Gombert died recently, aged 77. He had raced motorcycles and later ran a successful car business on the Côte d’Azur. He was well known in racing and rallying circles and to showbiz stars, but he became increasingly reclusive, preferring the company of his dogs, cats and Pompon the donkey to that of human beings. Obsessively, he kept collecting cars and motorcycles. ANTHONY GODIN, OWNER, GODIN SPORTING CARS & MOTORCYCLES LTD.
“I’ve had a few barn finds over the years, notably an Aston DB5 and a complete Brough SS80 motorcycle in bits, but about 15 years ago I was at a race meeting at Monza, the Coppa Europa I think it was. A few of us were talking cars, and this Italian gent who I’d not met before, Mario Illote, mentioned to me that he had a 911 in his garage down the road in Milan that he wished to sell. I wasn’t that interested at first, but he phoned me later and persuaded me to take a look at it, which I duly did. 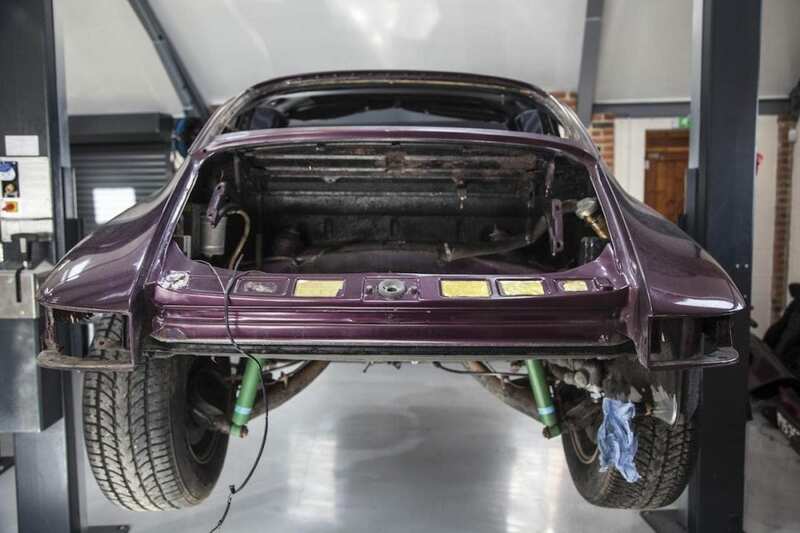 “It soon transpired that it wasn’t just any old 911, but a pukka early ‘70s 2.5-litre 911 ST. The ST wasn’t an individual model, but a standard 911S became an ST when retro-fitted with one of about 50 kits produced and supplied by Porsche’s racing division. “Just by looking at it I could tell that the car obviously hadn’t been driven or even moved in years. 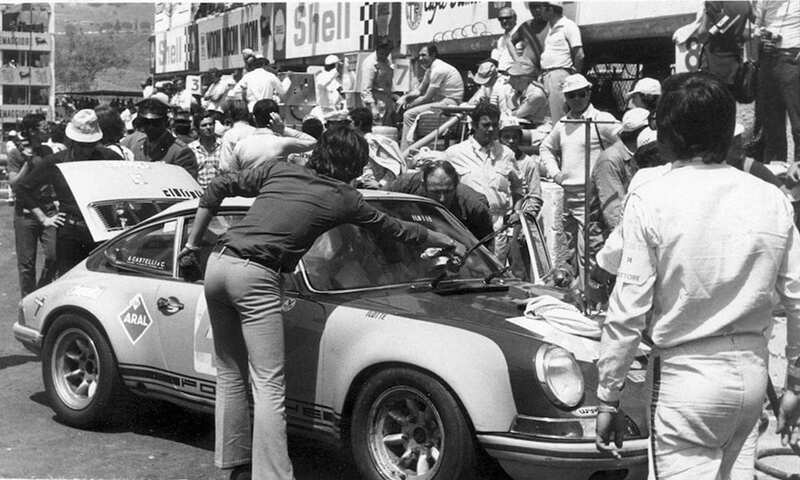 In conversation Illote told me that his grandmother had been the first woman to compete in the Targa Florio road race, and that he’d driven the 911 in many events including the 1971 Targa Florio and Le Mans 24hr races – it retired after five hours in the latter due to a broken piston. “I have to say that as the car’s rarity, provenance and potential value unfolded, the more nervous I became about it. 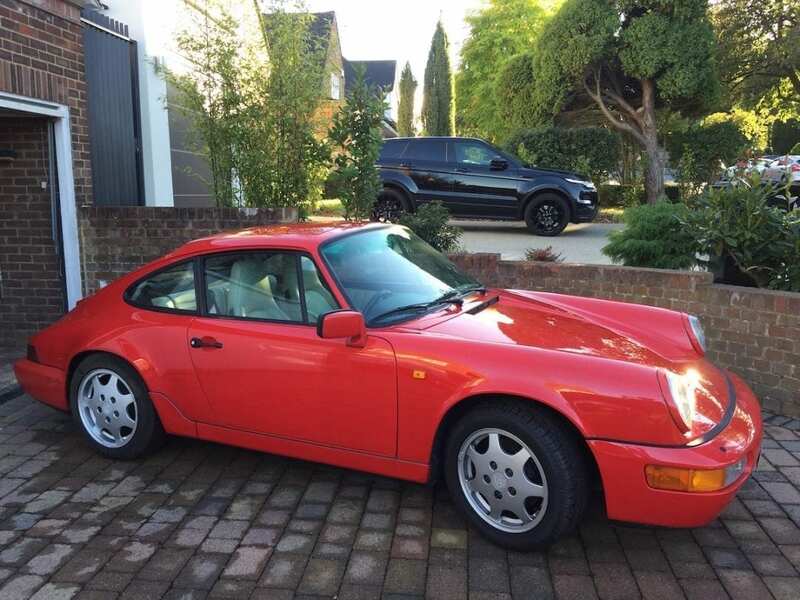 On top of that, I think Illote wanted the equivalent of about £80,000 for the car, and that kind of money I simply didn’t have at the time, a time when an ordinary ‘70s 911s were trading for around £10-15,000. CARL HARTLEY, CO-DIRECTOR, TOM HARTLEY CARS LTD.
“One Sunday about two years ago I took a call from an older guy in Lanzarote. 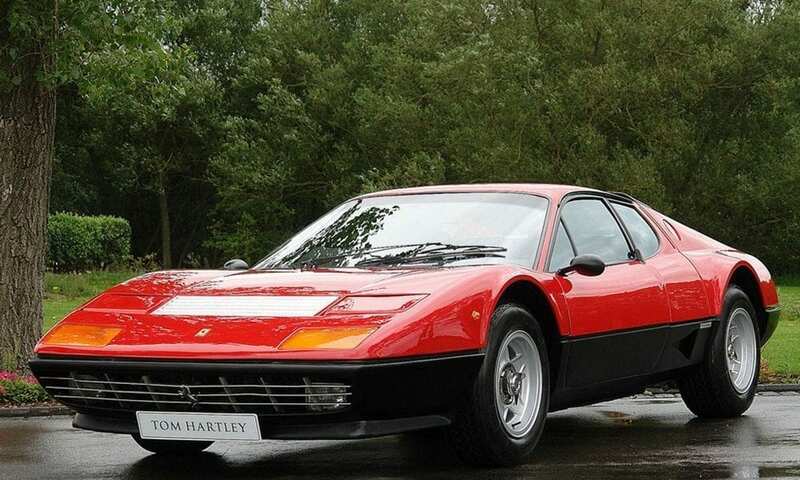 He had a right-hand-drive 1979 Ferrari 512BB – a rare car with just 101 built. He said he’d had it from new and had taken it to Lanzarote about 30 years ago, and that it hadn’t been driven for at least 15 years. “I flew straight out there. The owner met me at the airport and drove me to his house, which was way inland in the middle of nowhere and surrounded by absolutely nothing. The car was in the garage, but it was surrounded by so much stuff that I could barely see it. It took us at least an hour and a half to clear all the clutter out of the way, but even when that was done the car was so covered in dust I couldn’t tell whether it was red or brown. “Anyway, it was a totally original one-owner car with just 20,000 miles from new, so we struck a deal. I then found two local garage mechanics and paid them €100 each to come over and get the car running, which they did. By this time it was approaching midnight, but I was on a roll so I drove it the 15 miles to the docks in the hope that there’d be a shipping company there that could bring it back to the UK. “It didn’t drive too well. The lights were dim, the brakes were lousy and the throttle kept sticking open so I had to use the clutch and handbrake to slow down. With help from the team in the office I located a shipping firm, left the car with them and flew back home. “We’ve found a few cars in peculiar places, but I’ve a particular favourite, not least because it’s mine and I intend to keep it! 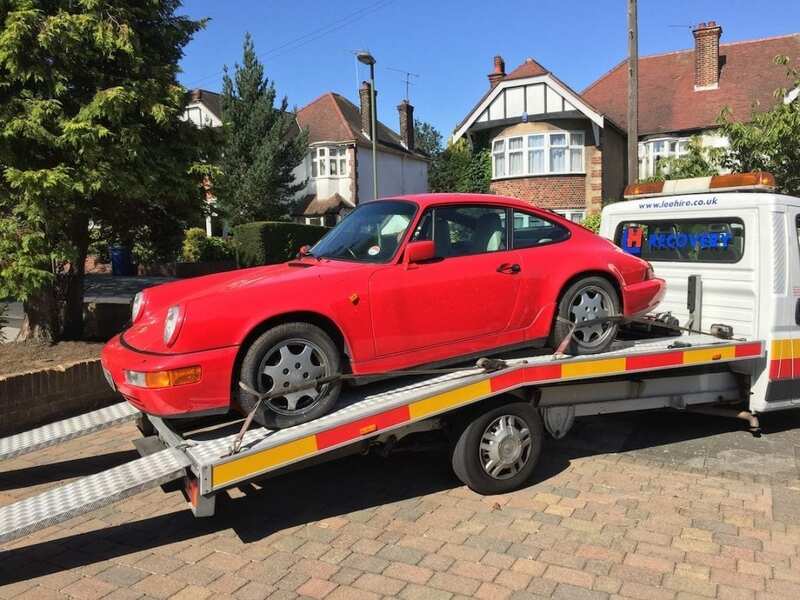 It’s a 1990 Porsche 911 964 Carrera 2 coupé, and the car had a couple of owners before becoming the property of a woman in Sussex, who at some point had parked it in her garage and left it there. “It was discovered by a pawnbroker some 10 years later, or about six months ago. I can only speculate as to why the pawnbroker and the by-now old lady were in touch with each other, but they came to some arrangement whereby the pawnbroker became the car’s new owner. He then contacted me with a view to selling so I went down to look at the car, and bought it. 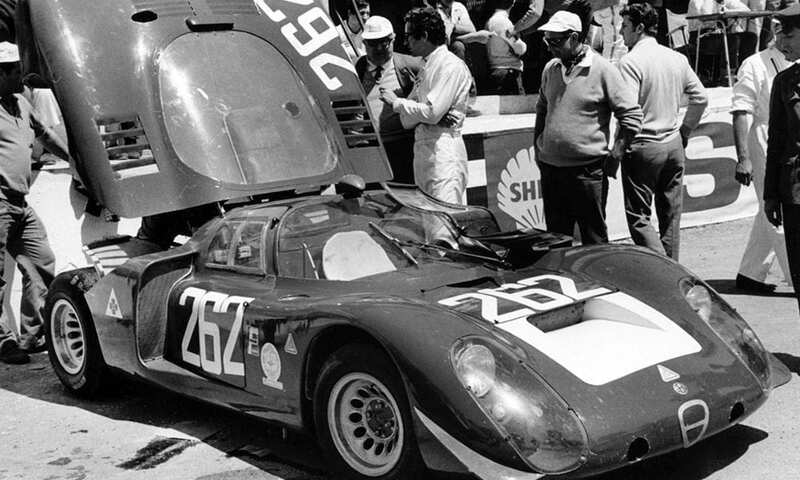 “I wasn’t the man who discovered the 1968 Alfa Romeo Tipo 33/2 in Africa – a family friend did – but I’ve been closely involved with it over the years, and it’s a tale worth telling. “Following a front-line racing career in Europe at the hands of drivers like Nino Vaccarella and Lucien Bianchi, a works Tipo 33 was sold to a Portuguese privateer in Angola. He raced the car there and apparently won everything he entered, but after a while the engine required a rebuild, and spare parts had become even harder to obtain as the civil war intensified. So, in the mid ‘70s the owner sold it to his Portuguese mechanic, who left it at his brother-in-law’s scrapyard, while the former owner returned to live in Portugal. “While in Angola on business in 1986, my French car-loving friend heard about the Alfa from his interpreter: “You like old cars? I know where there is one.” He eventually found the Alfa under a tarpaulin at the scrapyard. It was well preserved thanks to the hot, dry climate, but the cockpit was home to a family of Black Widow spiders, and there was the dried skin of a large Mamba snake on the floor. “The next step was to find the car’s mechanic owner, who by this time had also returned to Portugal. He in turn was tracked down to a suburban flat in Lisbon, lying in bed with a broken leg. Fuelled by whisky, the subsequent negotiations continued into the small hours. The final agreement involved cash, a Cortina engine (to be delivered to the seller’s family still in Angola), a motorcycle and a JVC video/TV! “But the French buyer’s troubles had only just begun. Extracting the Alfa from a country torn by war, where bribery and corruption was rife, took two whole years and involved smuggling US dollars into the country in his underwear. 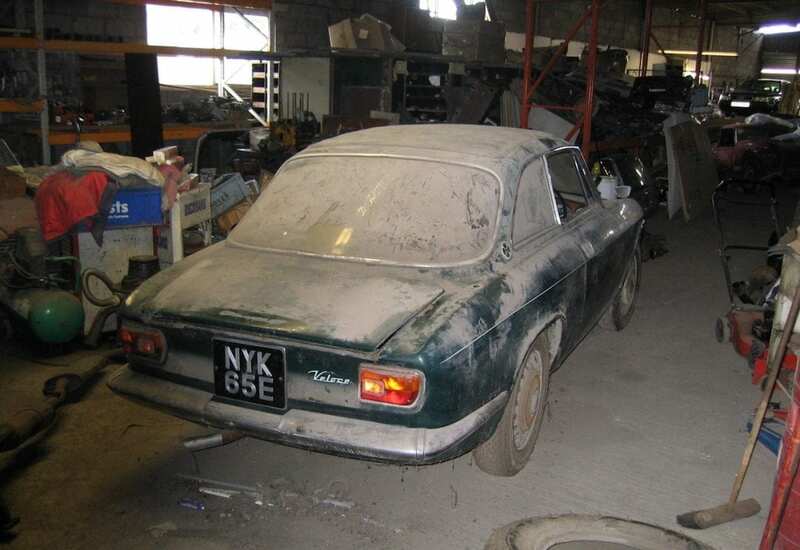 “Eventually the car was flown to France in 1994, when I first saw it in all its derelict glory. The French owner had intended to embark on a restoration, but I eventually persuaded him to offer the Alfa for sale at a Coys auction – I was the organiser at the time – in December ’94. It sold back to Italy, unrestored, for £115,000. The Italian buyer subsequently had the car restored there, and it returned to racing. 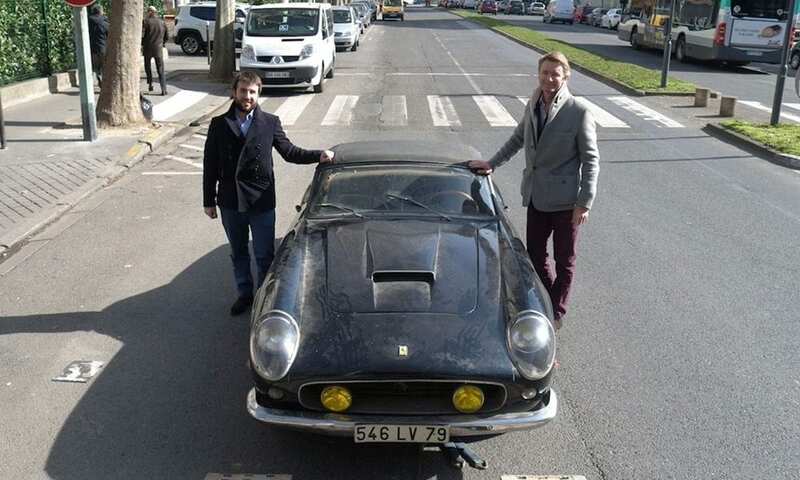 “It was widely reported that a certain 1961 Ferrari 250GT SWB California Spyder, along with the many other dusty old cars belonging to the Baillon family, was discovered in 2014. Not true; thanks to a friend in the French registration offices I’d tracked it down some five years earlier. “A major collecting client wanted the car, and was willing to pay a knockout price to own it, so I commenced negotiations with the family. The discussions continued off and on for years, but the family was very evasive. 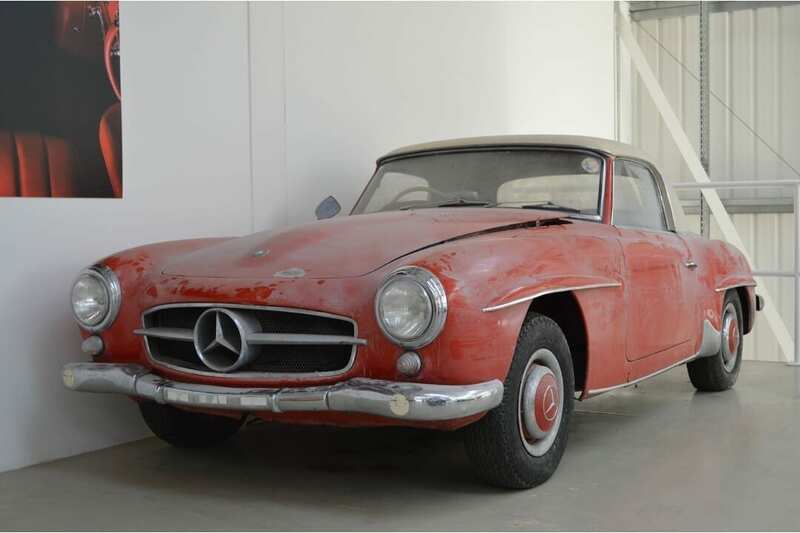 Then, in December 2014, news of the Baillol ‘barn find’ broke, and along with it the announcement that the collection was to be auctioned by Artcurial in Paris in February 2015. I spoke to our client and after much deliberation the night before the auction we decided to bid and set a price limit. NICK MEE, MANAGING DIRECTOR, NICHOLAS MEE & CO.
“There was a DB5 Convertible I went to see near Denham in Bucks. It was about 1993 and the market was in deep recession at the time. I first noticed the car was missing its roof, but when I looked into the driver’s footwell I could see the ground beneath, as it also had no floor. It was a total basket case. Back then it would have cost about £90,000 to restore, and with the work done it would have been worth no more than that. And it wasn’t going cheap, so I walked away. In our view, the Jaguar XJ220 could be a strong contender to be a future classic. Jaguar produced fewer than 300 of these supercars, priced at £470,000 in 1992 (roughly £910,000 when adjusted for inflation). For a two-seater it’s a beast, both in terms of size and performance (having clocked 217.1mph in a test at Nardo, it held the Guinness World Record as the fastest standard production car between 1994 to 1999). A favourite on many bedroom walls in the 70’s and 80’s, the V12 Lamborghini Countach is another strong contender as a future classic. It’s iconic, instantly recognisable and garnering attention from collectors: At an auction in 2014, a 1982 model that had sat dormant for 23 years was valued at £160,000 but sold for twice that figure. At JBR Capital, we’re passionate about classic cars, and can build a bespoke finance package suited to your needs. If you’re interested in buying your own future – or current – classic car, call one of our experts today on 020 3355 0035 to explore your finance options. 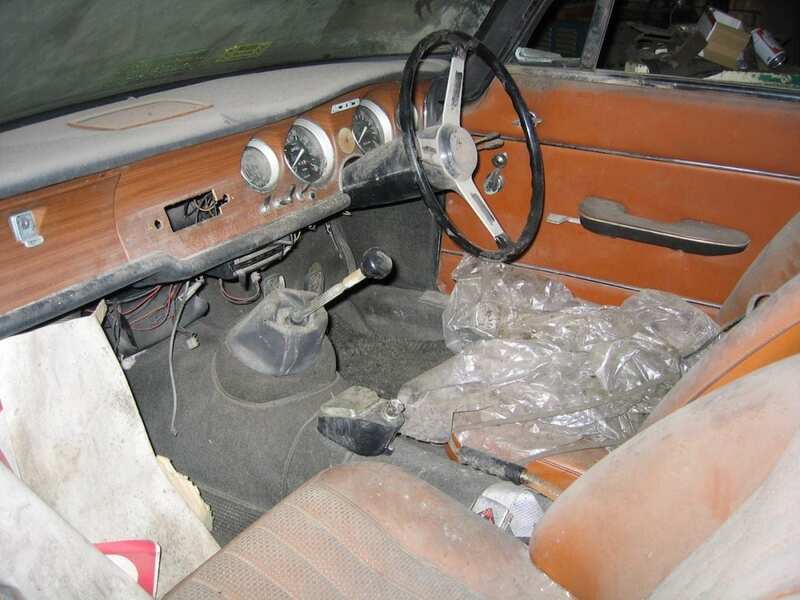 As previously mentioned, despite there being barn-find websites, social media accounts and computer games, actually stumbling across neglected automotive gems is an infrequent occurrence, or at least it is for the higher-value or more collectible models as they’ve usually been preserved and better cared for. A few years ago Rolls-Royce stated that more than half of the cars the firm had ever built were still running. 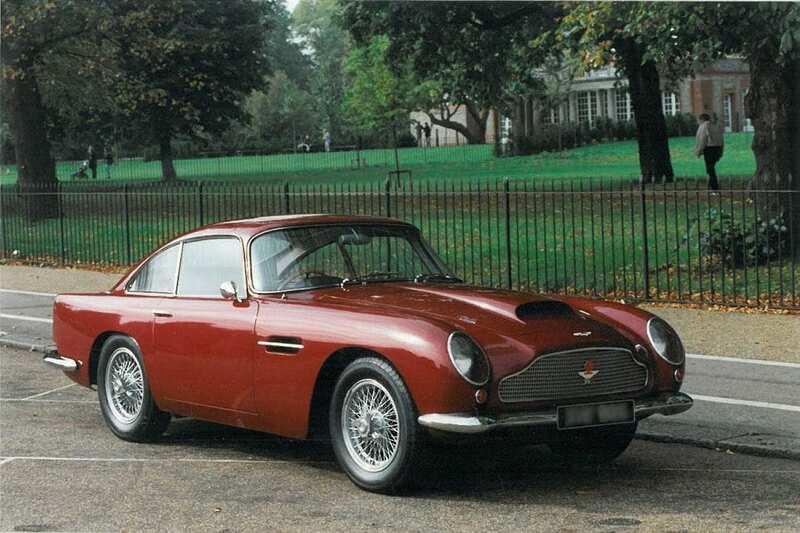 Aston Martin then followed that by asserting that approximately 90% of its cars were still in existence. Which begs the question; what became of the missing 10% of Astons, or half of all Rolls-Royces? We can’t answer those questions (we wish we could…), but meanwhile here are a few more tales concerning some previously forgotten classics, now in various states of repair. “The car’s first owner, a Mr Coombes, had died some years before, his wife was now well into old age and his son called us in late 2015 to ask if we had any interest in it. 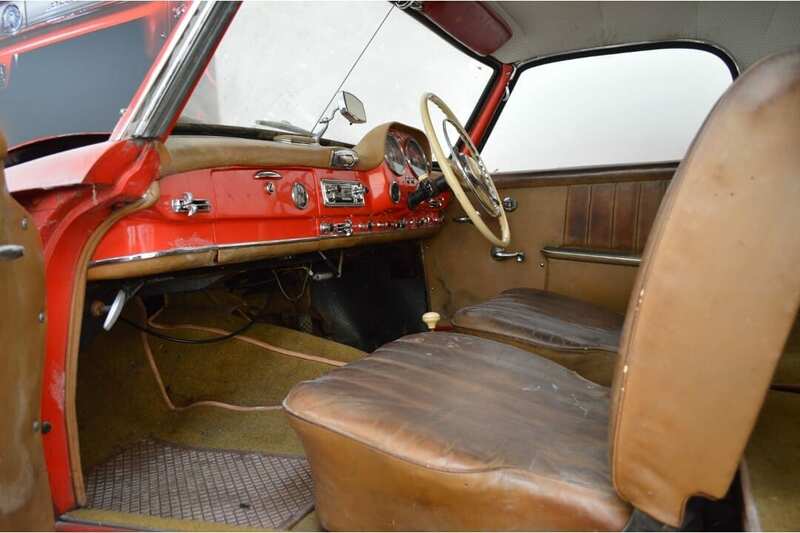 At the same time he made it clear that although he wasn’t in a position to recommission the car, the family had a huge sentimental attachment to it and that any potential buyer should be vetted to ensure that its unique originality would be preserved. “It was delivered new to Mr. Coombes who at the time was living and working in Rhodesia. It was his primary transport in Africa for the best part of 30 years prior to his retirement in 1986, at which point he shipped his family back to the UK, together with his Mercedes. 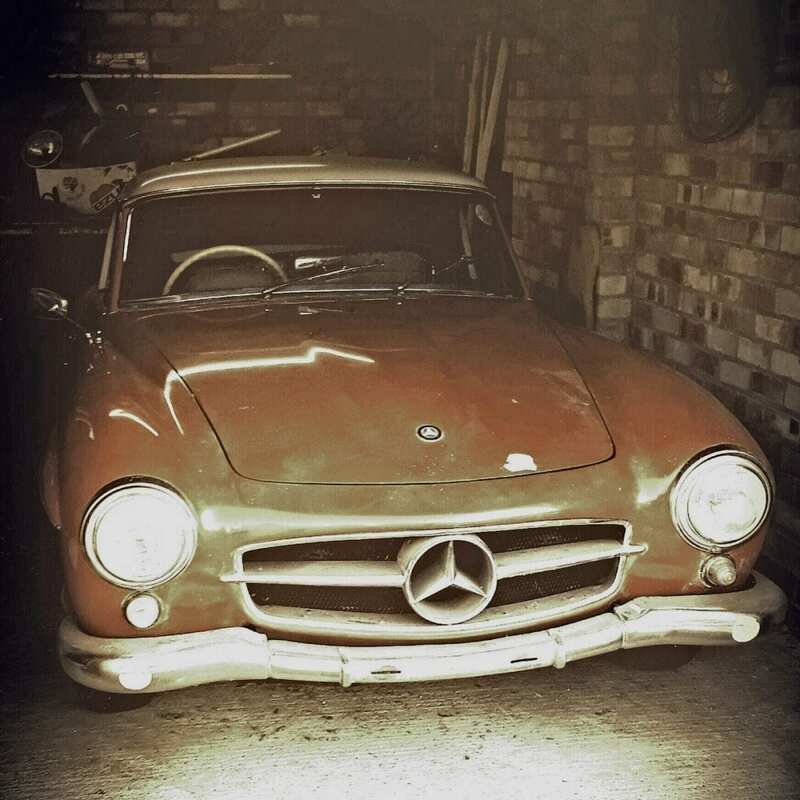 He then drove it with wife and children from Southampton docks up to their new home near Durham, where it was reversed into a brick-built shed, the door was closed, and it was left untouched for 30 years until being moved by us in 2016. 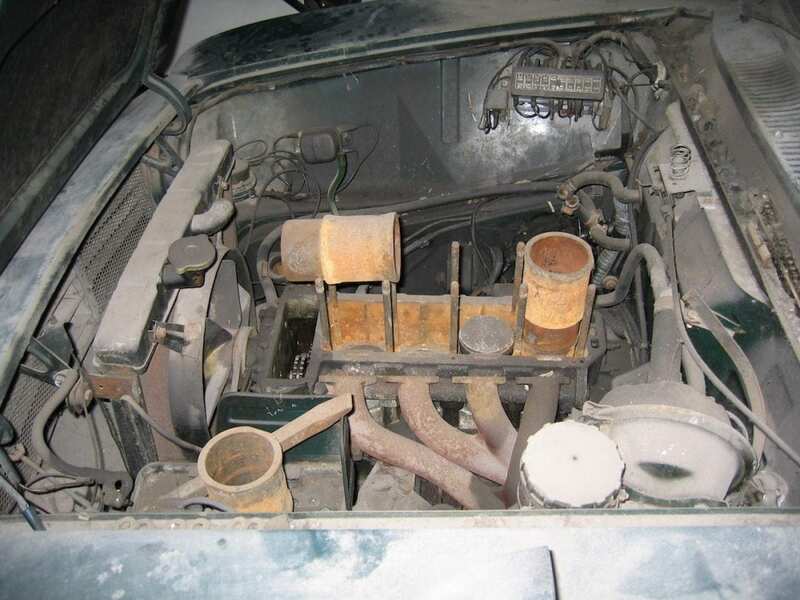 “I arrived to view the car and had to enter the shed by a side door as the main door was completely overgrown. This took some clearing before we were able to push the car out. With Junior Disprin in the door pocket, a 30 year-old petrol receipt from a service station on the M1 and the temporary tax disc required for the drive from Southampton, the car was and remains a time capsule from 1986. 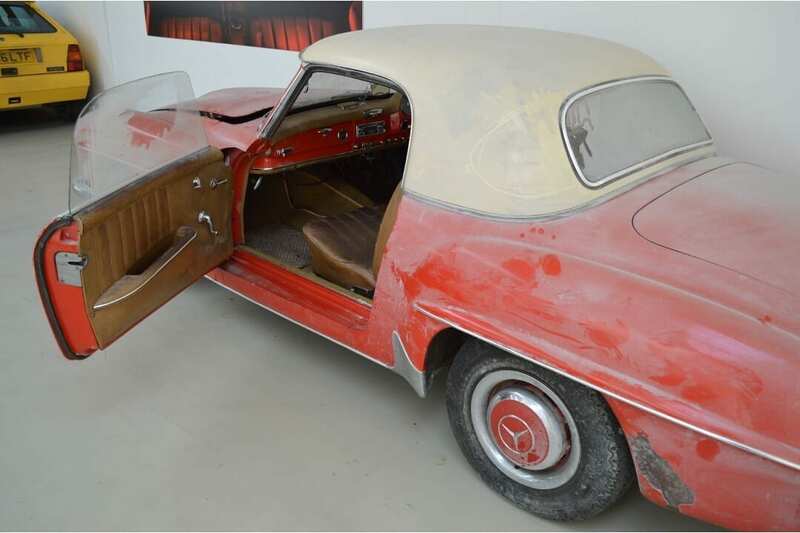 “A thorough examination in our workshop revealed that it’s the most original 190SL we’ve ever seen. Every factory panel, spot weld and body part is correct and original, as is everything else including the paint and interior trim. 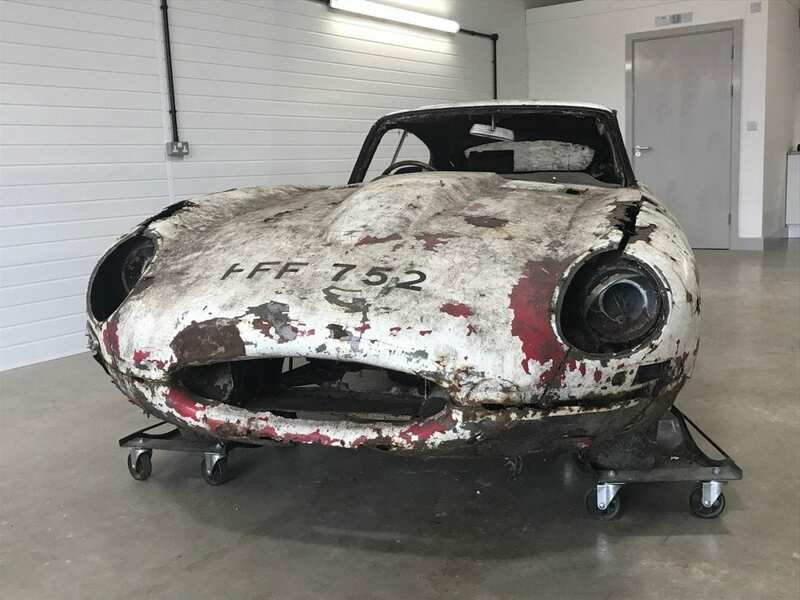 “I’ll start by saying that I didn’t actually track this car down and find it as it was consigned by its second owner to an auction held at the Classic Car & Restoration Show in March 2017. As things turned out it didn’t sell under the hammer, but a post-auction deal was agreed and the car was ours. “Also, technically, it doesn’t really qualify as a ‘barn find’ for two reasons. Having been left outside on the Isle of Harris for 20 years it didn’t have the luxury of a barn or garage during that time. Furthermore, nobody actually ‘found it’ as it was brought into the public domain by its second owner. “The car’s first owner, a James Rothwell, lived near Rochdale. I don’t know what its condition was when he sold it in 1997, but then having to endure two decades of neglect and Outer Hebredean weather obviously did it no favours. 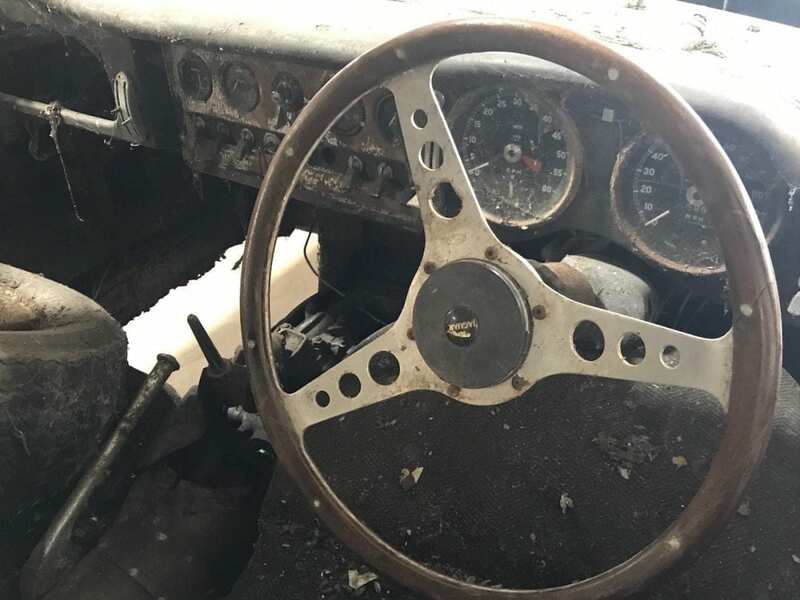 “Anyway, those details aside, the first job on getting the car to our workshops was to dismantle it and give it a thorough inspection to see what was salvageable, what could be repaired and re-used, and what would have to be replaced. 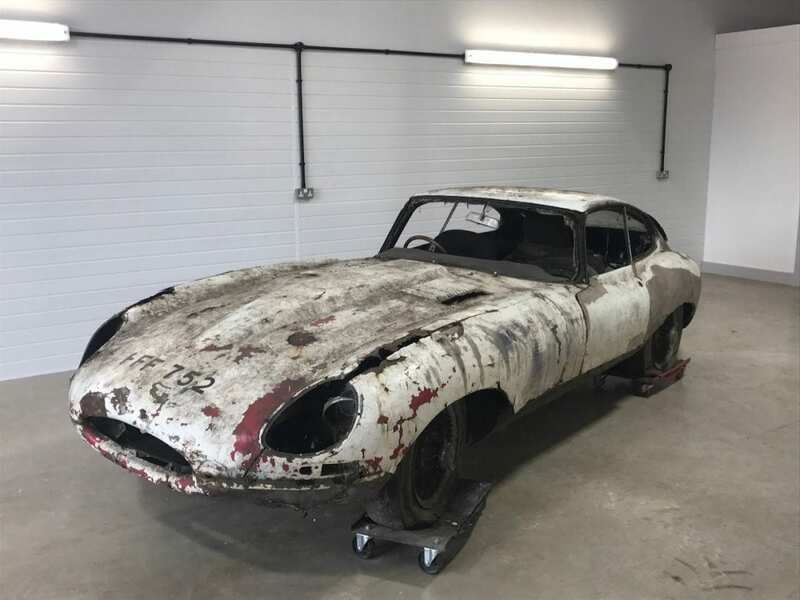 “It came as no surprise that the monocoque bodyshell was completely beyond repair so we’re currently sourcing and fabricating the parts and panels to create a new, identical one which will inherit the original’s chassis number – not an issue on these cars as E-Types with all-original bodies are rare indeed. 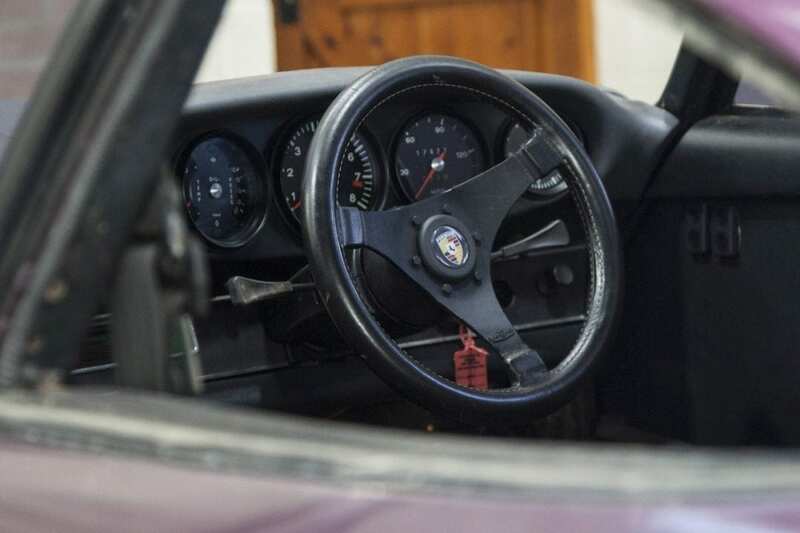 “Fortunately the car’s original 3.8-litre engine is complete and can be saved, as can the gearbox, rear axle and diff, the suspension arms, brake calipers and other mechanical parts, as well as the dash, instrumentation and seat frames. We do all we can to save as much of the original car as possible, but although items like the wire wheels could be refurbished, it’s sometimes more prudent to replace with new. “Lakes Autos is on the left as you head north on the A1 at Wyboston, just by the A428 Cambridge turn-off. Back in the 1970s and early ‘80s I used to drive past there quite often and couldn’t help but notice that the forecourt was chock-full of Morris Minors. In more recent times the Morrises have been replaced by at least as many old Volvos, but it never crossed my mind that lurking at the back of the garage was a car that would be of interest to me. 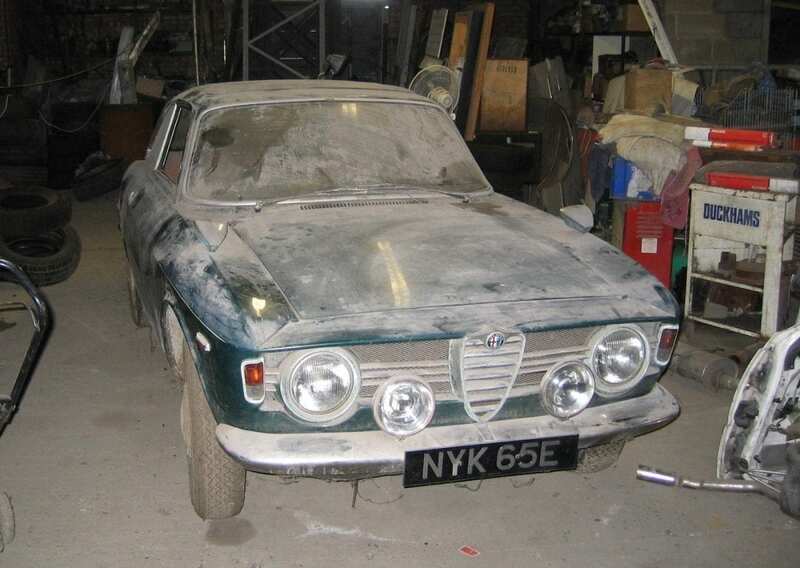 “Many years ago an acquaintance who lived in the area acquired a tatty Giulia GTV Sprint which he intended to restore as a long-term project. He occasionally bought the odd Alfa part from me while he slowly dismantled his GTV, but at some point after he’d taken his car to bits he realized that he wasn’t going to continue with his project so he called to ask if I’d be interested in taking it off his hands. I said I might be and arranged to go and see it, but at the same time he mentioned that he knew of another GTV Sprint in the area, which happened to be tucked away at the back of Lakes Autos premises. 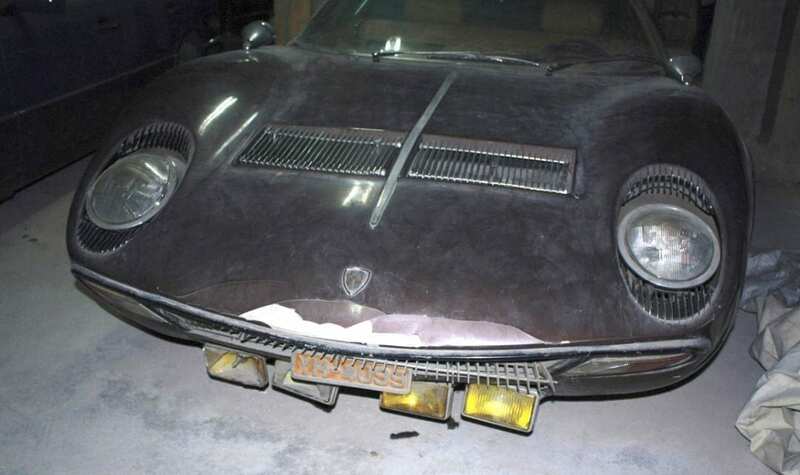 Chris Routledge, “Having heard through the grapevine that there was a Miura gathering dust in a basement car park somewhere in Athens, my man in Greece spent about 18 months off and on tracking it down. This involved him methodically checking out dozens of possible locations, but his perseverance eventually paid off. Having located the car he then had to trace its owner, and fortunately this took much less time than finding the car. “The owner turned out to be Stamatis Kokotas, a Greek pop star whose singing heyday was in the late ‘60s/early ‘70s but who’s still a household name in Greece. Kokotas was also an accomplished rally driver and car nut, and he’d been gifted the Miura by his friend and fan, Aristotle Onassis, the billionaire shipping magnate. “Kokotas recalled that he notched up over 50,000 miles, but in 1972 it suffered a mechanical problem which required the engine to be removed and sent to the factory in Italy for repair. 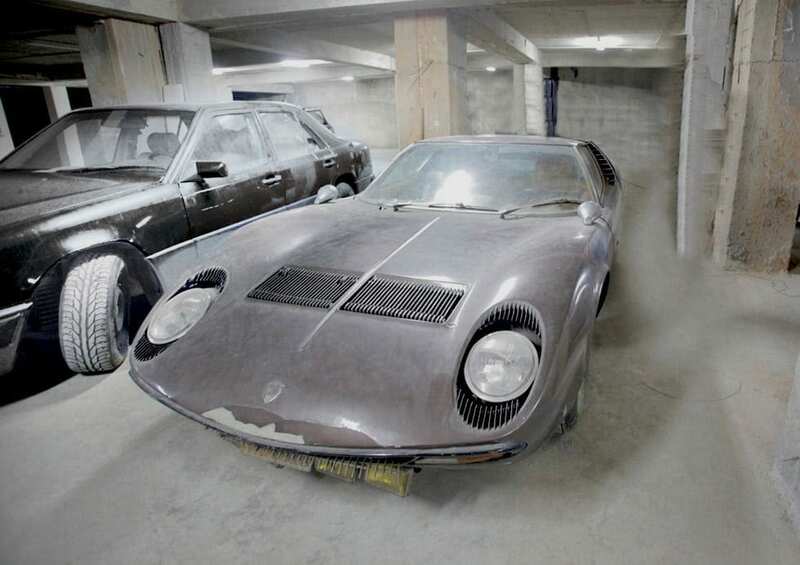 The Miura was then stored in the car park beneath the Athens Hilton where it remained until 2003 when the hotel underwent reconstruction in preparation for the Olympic Games the following year. 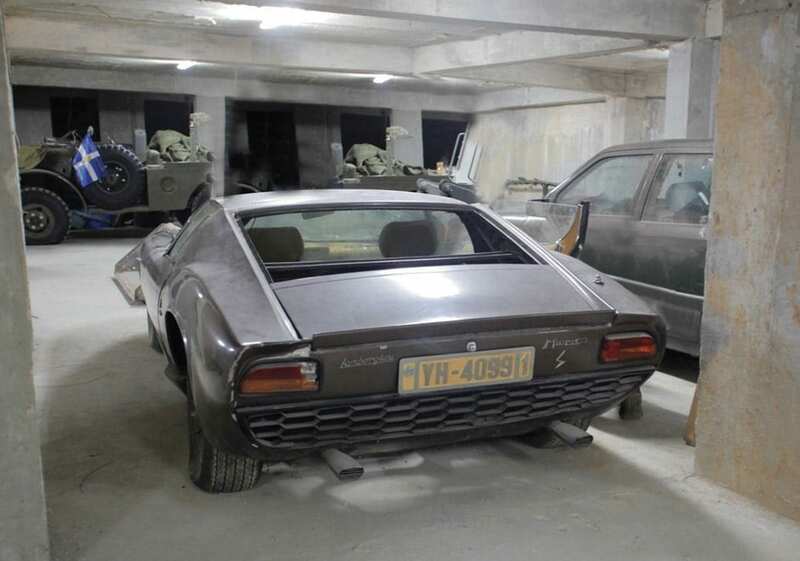 The car then had to be moved to another underground car park where, still minus its engine, it remained until 2012 before being shipped to the UK. “It transpired that the engine had been rebuilt by the factory, but with no-one willing to pay for the costly repairs it went on display in Lamborghini’s museum in Sant’Agata until late 2012 when, with Lamborghini’s approval, it was finally reunited with the car. 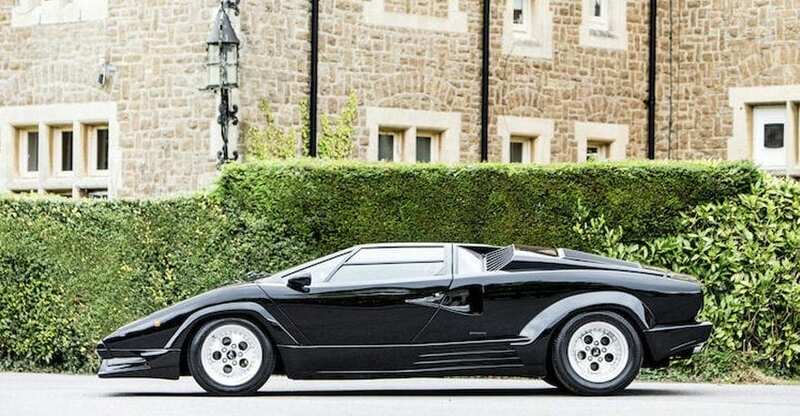 Classic supercar specialist Joe Macari takes up the story. “The bidding reached £300,000 but failed to meet the car’s reserve, so after some negotiation I bought the car with its engine, and enjoyed a drink with Stamatis Kokotas who also attended the sale. 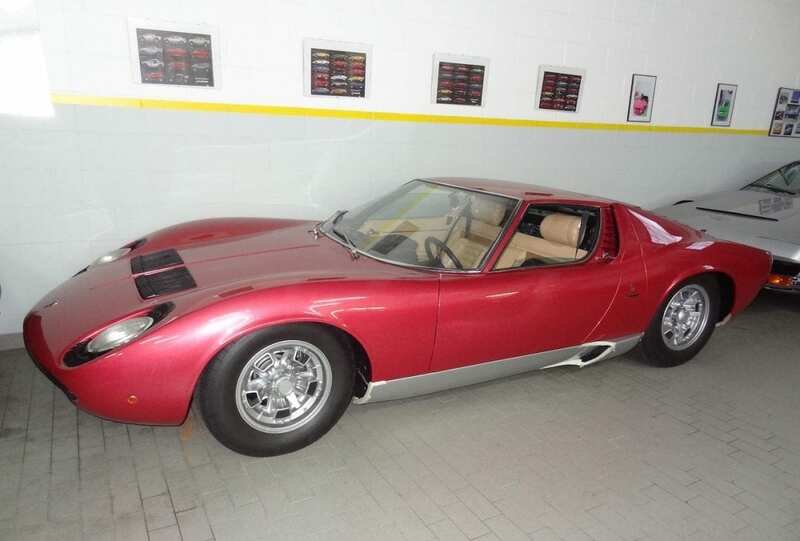 I had originally intended to keep it for myself as I love Miuras – in my opinion they’re the greatest Lamborghini ever – but I was initially undecided about how to treat this particular car as it had been personalized with unique alloy air vents, a custom steering wheel and a number of one-off interior parts. “For us the story starts in 2015 following an email from a contact in Florida who claimed to have the one of last RS 2.7s built. This seemed like a bold claim, but initial research and photos indicated that the car definitely required further investigation. 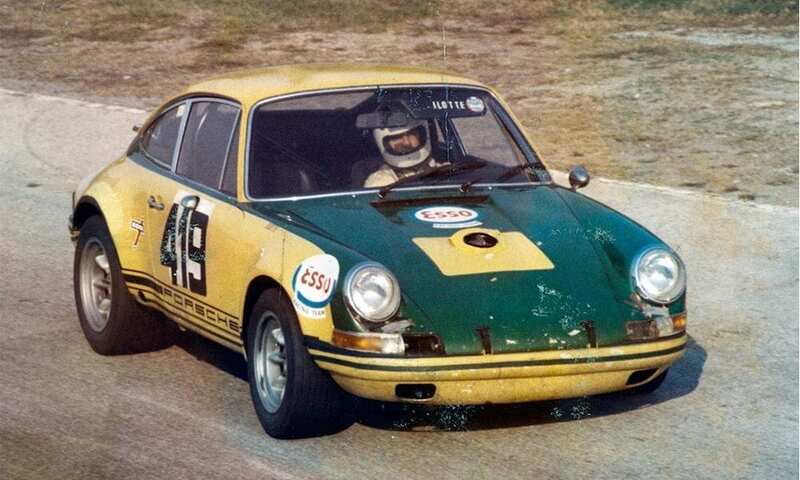 “At the same time, Josh [Josh Sadler, Autofarm’s founder and ex owner] was due to race a 911 of his at Daytona and so it was agreed that he’d meet with his contact in Florida and inspect the RS while there. Although the car had obviously been altered over time from its original spec [wheels, whale tail spoiler, impact bumpers, US-spec headlights, raised brake lights, tinted windows, seats, steering wheel, audio system, paint finish and more] it did indeed turn out to be a pukka matching-numbers RHD 2.7 RS, and despite having been abandoned for years it was in remarkably sound condition and complete with all its essential components. And being chassis 1,576 [of 1,590] it’s also the last of 111 RHD cars to be built. 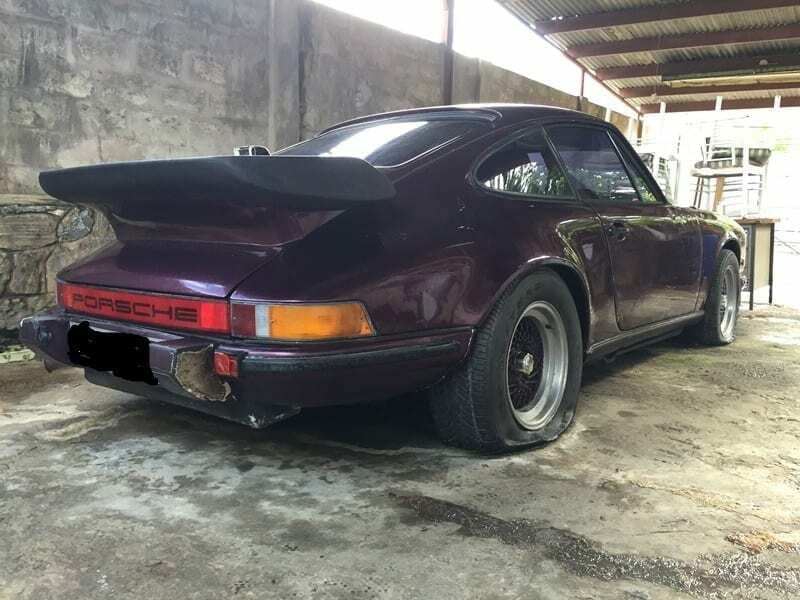 “Delivered new in the UK in 1973 (without the RS’s usual ducktail spoiler), the car was sold in 1978 to a Trinidadian businessman who shipped it to Trinidad. 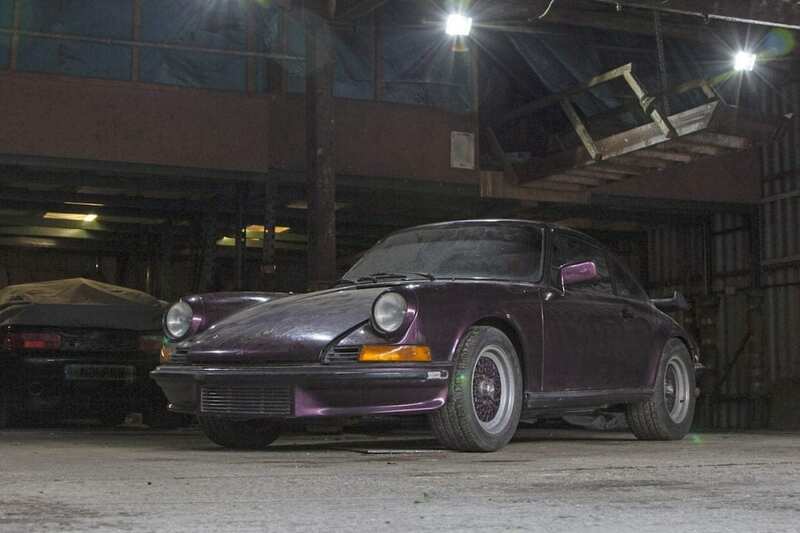 In 1989 he sold it to a third owner, [who it’s believed had it re-sprayed from its original Royal Purple to a metallic deep purple], and then in 1993 it was sold to the fourth owner, a Leon Paria. He drove the car for several years but following a mechanical problem he parked the car under a lean-to at the back of his house. “Tragically, Mr Paria was shot dead on his way to the shops in 2002 and the car became the property of his widow who left it under the lean-to until Josh’s US contact – a previous resident of Trinidad who’d known about the car since the 1980s – bought it from her. 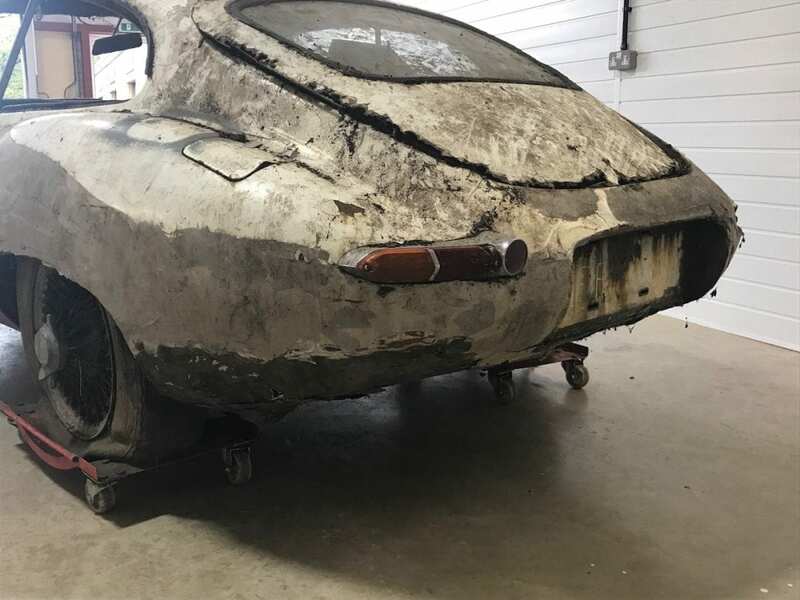 He then shipped it from Trinidad to Florida, but lacking sufficient funds to properly restore it, and it being a RHD car in America, he contacted Josh in the UK and a deal was struck – Josh swapped his racing 911 for the ‘barn find’ 2.7 RS. We’re passionate about classic cars here at JBR Capital and we can build a bespoke finance package to help you purchase the car of your dreams, whether it be a barn find or a concours winner. If you’re interested in buying your own future or current classic, call one of our experts today on 020 3355 0035 to explore your finance options.